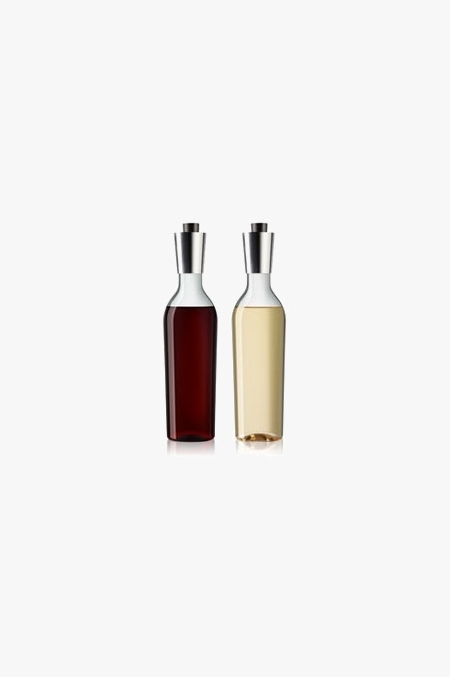 Decant the wine into the Eva Solo glass carafe, which holds the same amount of wine as an ordinary wine bottle. Decant the wine into the Eva Solo glass carafe, which holds the same amount of wine as an ordinary wine bottle. The carafe has a drip-free pouring lip, fits in the fridge door and is dishwasher-proof.